WeChat is China’s digital life force. With more than 1 billion monthly active users, this so-called “superapp” is ubiquitous in virtually every aspect of daily life. Locals use it to chat with friends, post updates, pay for pretty much everything, and much, much more, making WeChat a mainstay of modern Chinese society. 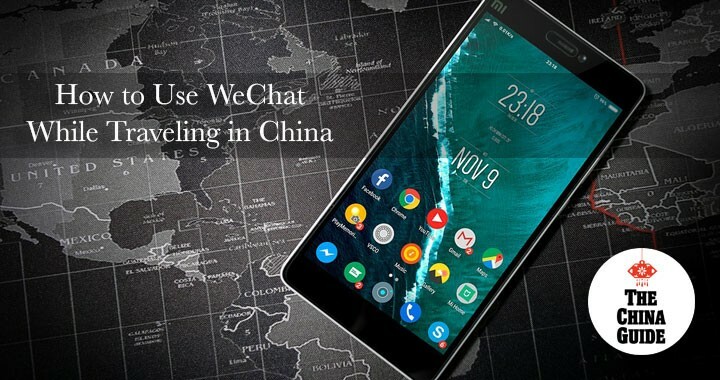 Although WeChat might not be well-known outside of Asia, it offers an English interface that is easy to use and available to visitors who want to experience this piece of Chinese culture for themselves. In the guide below, we’ll help you figure out how to download and set up WeChat, how to use WeChat to keep in touch with people, and how to use WeChat Pay to purchase things while in China. Type your phone number into the appropriate field. Before you do, though, be sure to consider whether or not you will be using a Chinese SIM card while in China. Some visitors choose to purchase a Chinese SIM card upon arrival to allow them to stay in touch with their fellow travelers on the go without having to use WiFi. This is an affordable option that will enable you to continue using most of your apps as normal, although you will still need to install a VPN to use Instagram, Facebook, and other apps that are blocked in China. You can read more about setting up your phone for use in China here. If you do plan on getting a local SIM card upon arrival, it may be easier to wait until you have your new Chinese phone number before setting up WeChat. You can still use your foreign number to set it up, but you will have to update the number associated with your account once you insert the Chinese SIM card, which can be a pain. If you do not plan on purchasing a SIM card upon arrival, you can simply set up WeChat using your normal number. Be sure to select the correct country code based on your country of origin. WeChat will send a text verification code to the number you used to register, which you will then enter in the space provided. If using your foreign number, be sure to download and verify your phone number on WeChat before leaving for your trip, as you will likely not have service when you arrive in China, which may prevent you from receiving the verification text. Once you’ve verified your number, you will be prompted to enter your name and create a WeChat ID to finish setting up your account. And that’s it! You can now use WeChat to connect and communicate with other WeChat users. From here, you can search for contacts in a couple of ways. First, you can search for a user by entering their phone number or WeChat ID in the space provided at the top of the screen. You can also add a user by scanning a QR code from their phone. To do this, simply select the “Scan QR Code” option from the menu. Then, position their QR code within the square in the center of the screen, and voila! You will be able to add them as a contact. If someone wants to scan your QR code to add you as a contact, select the “My QR Code” option in green from the scanning page. Now that you have some contacts on WeChat, it’s time to start chatting. You can read more about WeChat’s various messaging functions and how to use them here. Unfortunately, at this time, you can only top up your WeChat balance with a Chinese bank/credit card. Although WeChat will allow you to add a foreign Visa or MasterCard number to your account, this is solely for verification purposes and you will not be able to use this card to pay for things in China or add money to your WeChat balance. Simply click on the red packet and click “Open” to accept the transfer. Receiving a red packet will put some money in your WeChat balance, and the WeChat Pay function should appear on your profile, if it isn’t already there. You will then be able use this balance to purchase things via WeChat Pay! At some point during this process, you will be prompted to set up a 6-digit PIN of your choice—be sure to remember it, as you’ll need to enter it whenever you make a payment. If you are on one of our tours, your guide or travel specialist can send you a red packet and help you set up WeChat Pay. From this menu, you will select either “Scan” or “Money,” depending on how you’ll be paying. At some businesses, the cashier will scan your QR code, in which case you will select “Money.” Elsewhere, you will need to scan a QR code at the cash register, which requires selecting the “Scan” option. You can also access the “Money” option by clicking on WeChat Pay from your profile page. Please note that WeChat requires data or a WiFi connection in order to function, including scanning QR codes and paying for things. If you have a Chinese SIM card, this shouldn’t be an issue. If not, however, you’ll first need to connect to WiFi before using WeChat Pay. Fortunately, most stores, restaurants, coffee shops, etc. have free, reliable WiFi, so this should be possible at most businesses, but you probably won’t be able to use WeChat Pay to pay for things outside or on the go, like rental bikes. Wie buche ich online Eintrittskarten für die Verbotene Stadt? Was gibt es zum Frühstück? 10 Gerichte, die Sie in China unbedingt probieren sollten! The China Guide von TripAdvisor ausgezeichnet! 2018 China Inbound-Tourismus-Bericht: Wann und wohin?